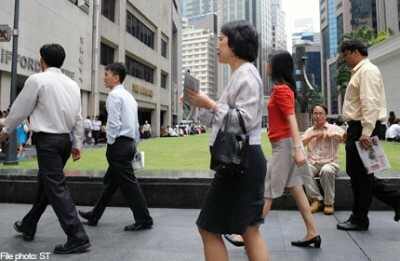 SINGAPORE - A toolkit has been launched to help companies better manage their human resources and attract and retain talent. The Enhanced HR Capability Toolkit, jointly developed by SPRING Singapore and Singapore National Employers Federation, was launched today by Mr Lee Yi Shyan, Senior Minister of State, Ministry of Trade and Industry and Ministry of National Development. Speaking at the opening of Sheng Shiong's headquarters, warehouse and distribution centre, he said the toolkit aims to improve and strengthen SME human resource management capabilities by addressing HR gaps and promoting good HR practices. "The enhanced HR Capability Toolkit addresses the fresh challenges faced by companies today, with the inclusion of two new modules - 1) talent management & succession planning and 2) employee relations. This is an enhancement to the existing six areas which covers manpower planning, recruitment and selection, compensation and benefits, performance management, learning & development and career management," he said. Mr Lee said over 36,000 users have downloaded the toolkit, with at least 3,800 SMEs benefiting from the free HR advisory and information services provided. 180 SMEs have undertaken HR capability development projects. A dedicated HR portal has also been developed for companies to access case studies of best HR practices and to locate advisory services offered by HR consultants. Companies can also peruse other HR-related events and articles. In his speech, Mr Lee also encouraged retailers to make full use of the available funding, such as SPRING's Innovation & Capability Voucher (ICV) and IDA's iSPRINT, to improve themselves. These fundings are part of SPRING's five-year Retail Productivity Plan announced in 2011. $86 million were set aside to enhance worker productivity and operational efficiency in retail enterprises.